Note: This post was originally published on Entrepreneur. Commonly called “My first internet,” America Online has already been referred to as an internet dinosaur. As the company that pioneered mainstream internet access begins the next stage of its existence, a corporate facelift was a natural and necessary step in the process. 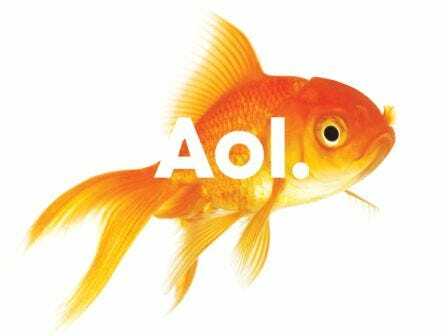 While it can be argued that the introduction of AOL’s new identity as Aol. may not be an aesthetically pleasing transformation, Aol. has been very successful in ensuring that its core audiences (advertisers, consumers and employees) are aware of all the internal and external changes to the brand and the significance behind the changes. Over the last decade several large corporations (for examples: Accenture, Verizon, Cingular and Altria) have favoured rebranding and renaming as a tactic to regain relevance and contemporary standing–or brand solvency in the case of GMAC with Ally. That is because refreshing your brand and image is a great and effective way to gain a second look from your customers, especially if you’ve lost relevance (or the attention of your audience). Small businesses can also benefit from repositioning in the marketplace if a strategic and comprehensive communication plan is implemented alongside it. Any companies makeover should include a visual component to help businesses re-establish the lines of communication with customers. Whether that’s new packaging or a redesigned logo, these tools have the potential to engage audiences to rediscover the brand. Love it or hate it, America Online’s new logo led the way for a series of media announcements and spearheaded a communications campaign informing its audience of the critical shift in business model. That said, a truly successful rebrand needs a lot more than a new logo. Once the buzz wears off, you don’t want customers thinking your attempts amount to nothing more than lipstick on a pig. Just remember how customers were quick to criticise Radio Shack’s name change to “The Shack,” and the media backlash that ensued once it was reported that there would be few changes in the company’s actual offerings or internal brand identity. Before undertaking a brand revival there are some things you should do first, so if your business just needs a refresher (as opposed to complete brand resuscitation), read on. Walk in your customers shoes: Become your customer for a day to better understand what they want. Don’t be superficial: Aim to tie your rebranding efforts to a fundamental shift within you company, and don’t be afraid to talk about the strategic significance behind your change. Crowd source: Continue to tap into your existing customer base for constant feedback and opinions, which should factor into your evolving communications planning. Start from the inside out: Employees are your brand ambassadors. Begin the internal transformation early to ensure message consistency and distribution. Learn to let go: It may be difficult to cut ties with the original brand identity, but you can’t look forward if you’re still looking back.